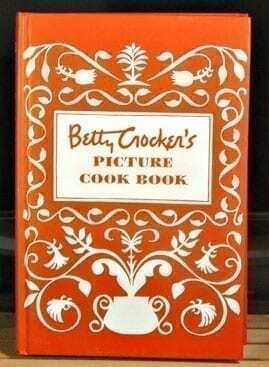 Betty Crocker’s Picture Cook Book Replica Notebook: Betty Crocker’s Picture Cook Book, originally published in 1950. This is the Rodale, Inc. facsimile condition. Notebook edition. 449 pages, plus blank pages for notes. Mint condition. Absolutely pristine. If you are looking for your mother’s cookbook, this is for you! Pristine condition. Lots of beef steak and potatoes recipes! Don’t forget to click on “Recipes” at the top of the VintageCookbook.com homepage. 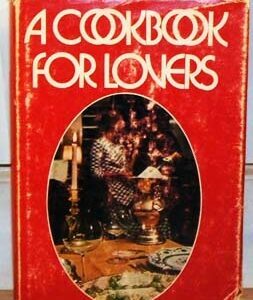 You’ll find one great recipe from many of the great antique and vintage cookbooks, AND from the great vintage cocktail books or mixing guides, including this one! 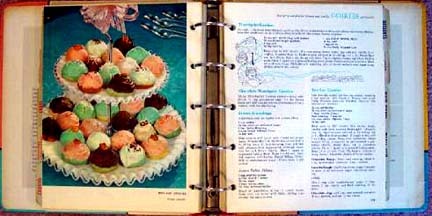 Please like us on Facebook at https://www.facebook.com/vintagecookbook, where you can find vintage recipes from all the classic cookbooks! Please follow us on Twitter @vintagecookbook! When you follow us on Twitter you’ll know immediately when we post new cookbooks and when we do mark downs! 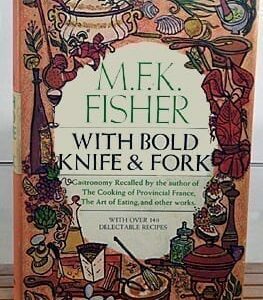 Looking for more cooking ephemera? Come back to VintageCookbook.com. We add new items daily. To properly display your antique cookbook collection, you might want to visit our sister site, VintageTablecloths.com. 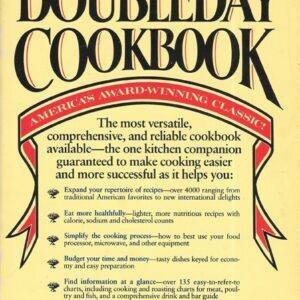 New Doubleday Cookbook, 1985, Mint Condition with Good Dust Jacket. 1955 Good Housekeeping Cook Book in Near-Mint Condition!